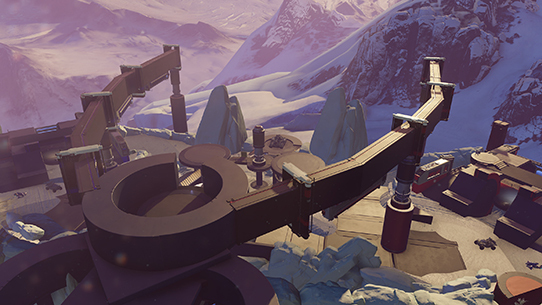 Battle of Shadow and Light Update is here! 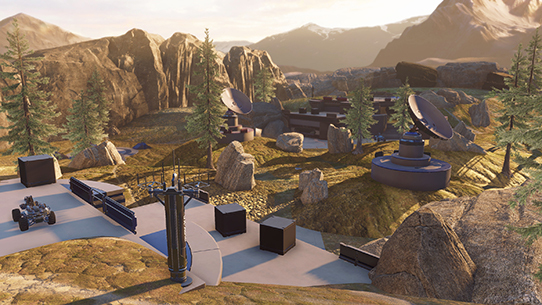 The Battle of Shadow and Light Content Update, our first drop of free content goodness for Halo 5: Guardians, is now available. The next time you log in, you will be prompted to download this update. 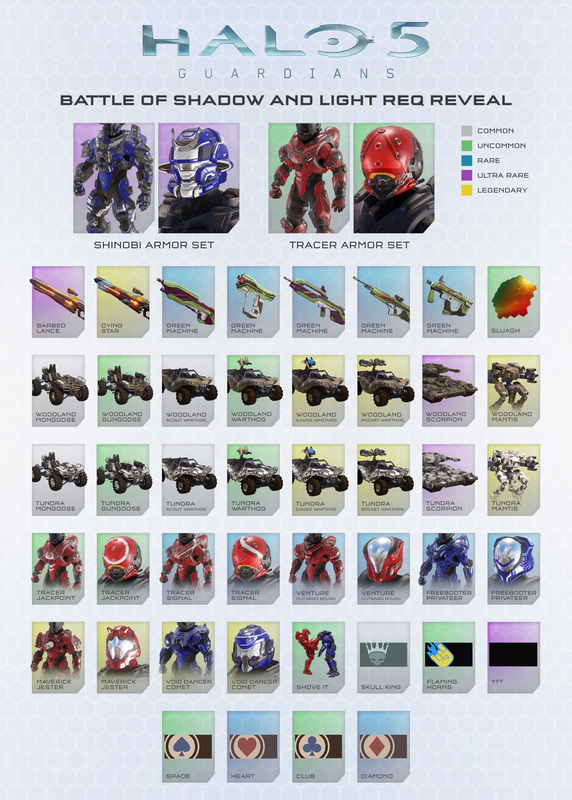 Added 48 new REQs, including new armors, helmets, weapon skins, weapon and vehicle variants, a new visor and assassination, and new emblems. See below for a breakdown of what’s included. For all BTB game types, the Motion Tracker is the same size as Warzone at 25m (larger than the Arena Motion Tracker), and match length is 16 minutes. Fixed an aiming issue that could occur due to variance in controller hardware. Head here (Halo 5 Aiming & Controllers) for more details. Made a variety of tuning tweaks to Warzone Assault, including the below. 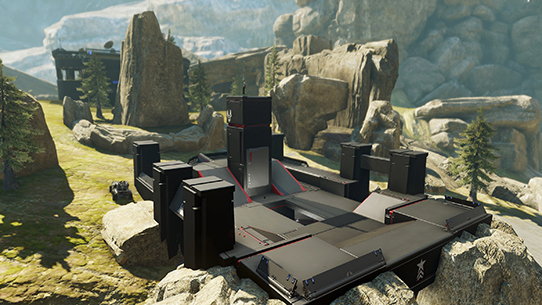 Head here (Warzone Assault Tuning Changes) for more details. Added the “deliver” nav point for vehicle drivers who have a friendly flag carrier as a passenger. Fixed an issue where players were able to use the driver and gunner seats while holding the flag. Now, the flag carrier can only sit in the passenger seat. 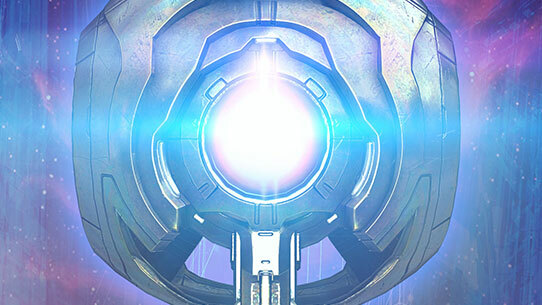 The following new REQs are included with the Battle of Shadow and Light update – as a note, it may take some time for these REQs to populate through the REQ System, as they’ll be rolling out over time. 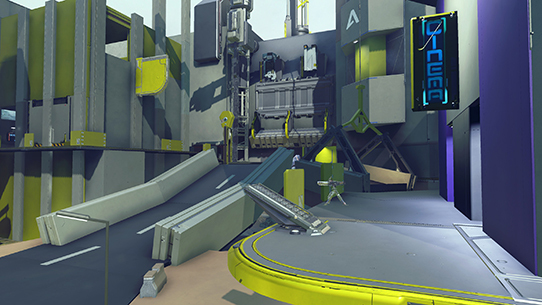 We hope you enjoy, and we’ll see you in matchmaking! 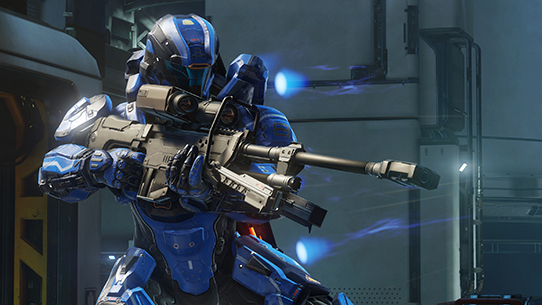 Each weekend, we’re giving you the option to vote on which new or returning playlists you want to see in matchmaking. Each time a new mode is introduced, it’ll earn the right to be a poll option for two weeks, win or lose. 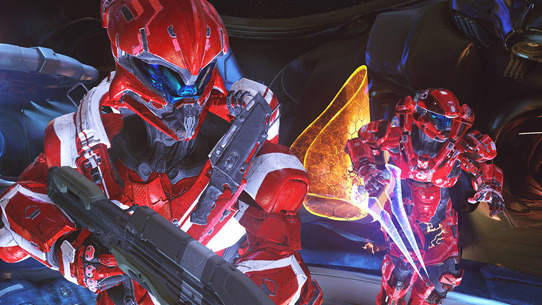 This said, Shotty Snipers is once again a poll option in this week’s poll.